Should Black exchange the knights? 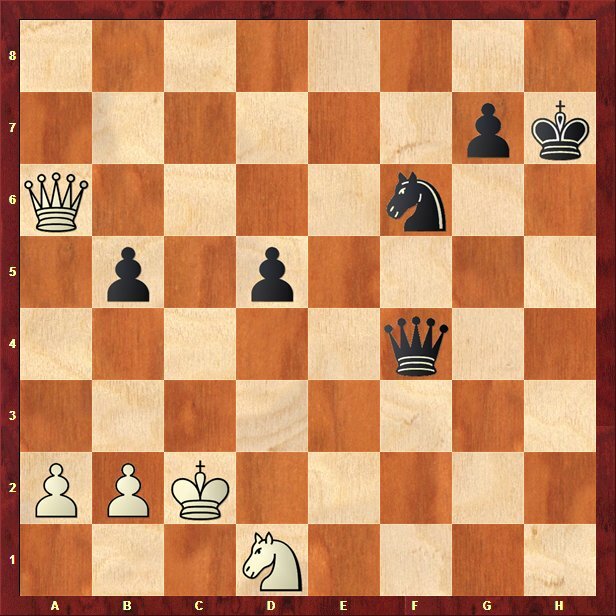 Would you capture with the king or with the knight on g2? Carlsen played a beautiful game up to this point, gaining a big advantage against Aronian. But on move 36, probably due to time pressure, he took on g2 with...his king, allowing Black to take the d4 pawn and come back in the game. 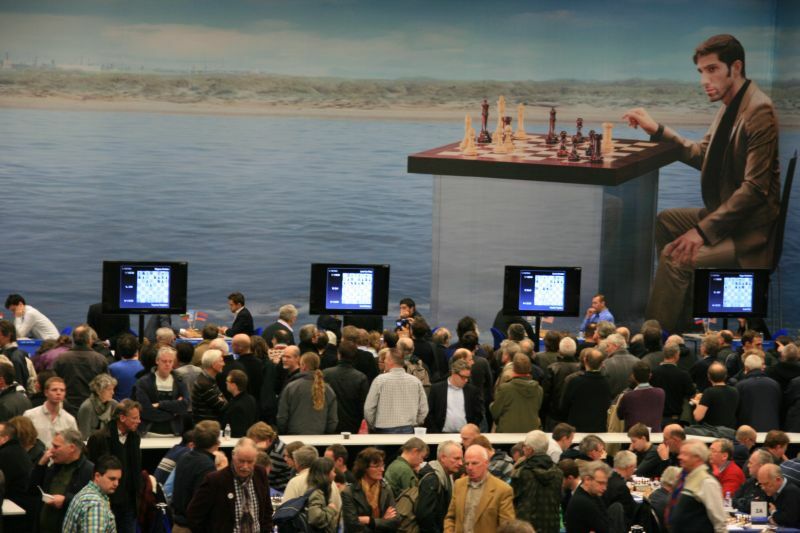 The game was finally won by Carlsen, but after a long fight, not without drawing chances for his opponent. His life would have been much easier if 36.Nxg2! would have been played. Black cannot take 36...Rxd4 because of 37.Bc3! and the white king is not pinned as in the game. Should White play for a win or not? Did you ever get the feeling that your opponent somehow...dominates you?! It's a psychological advantage of the stronger player, especially of the number one in the world! It takes a lot of courage and composure to go 'all in' against such opponents. A draw is a good result, so why should we go for some complicated and unsecure lines?! This is the message that subcounsciously the brain sends you and it's not so easy to fight against it. 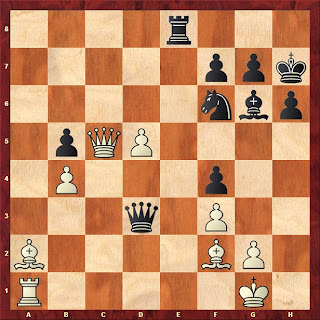 Probably influenced by Carlsen's presence, Caruana missed his chances in the above diagram. 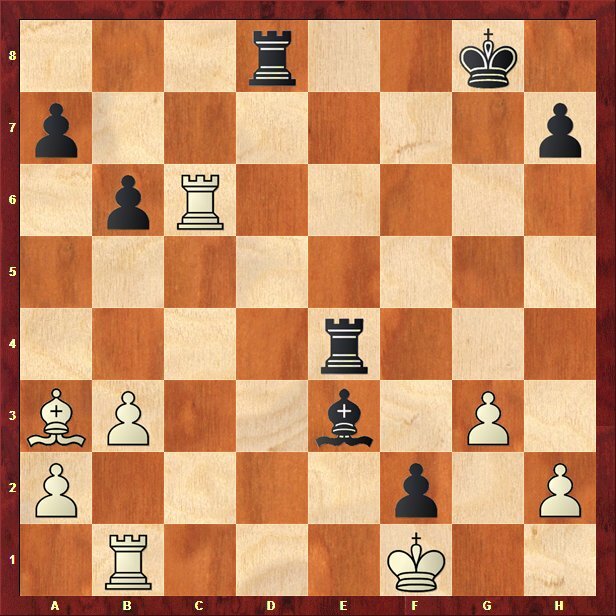 Black's last move was 29...Rh8, optically threatening to enter on the 2nd rank and disturb white's pawns. 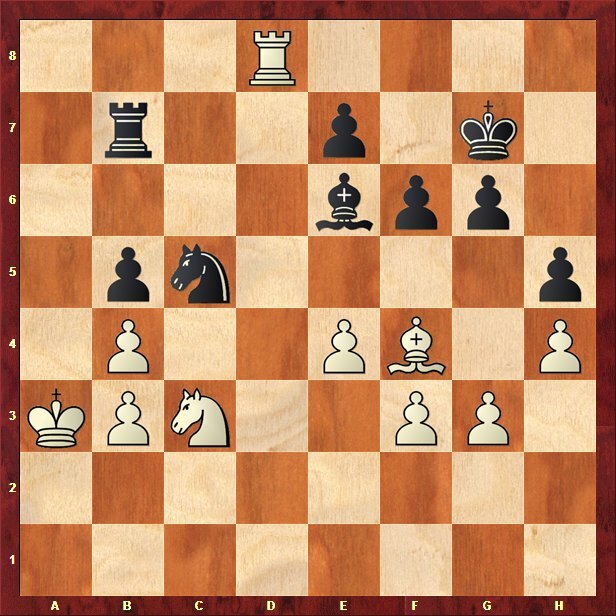 Therefore, Caruana played 30.Kg2 in order to prevent that, overlooking 30.f5!, the most logical and ambitious continuation. How should white take the deserved point? 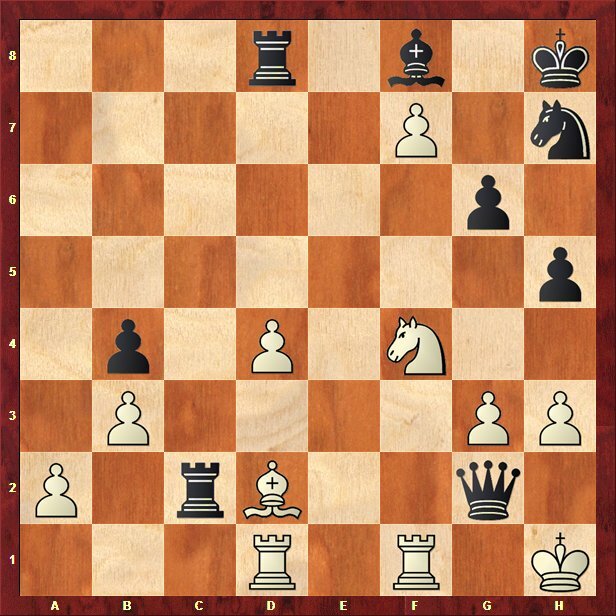 Caruana had a decisive advantage in the position seen above, where almost every move is good enough for a win. Unfortunately, this assumption was not correct. As Loek said after the game, he knew he was lost and tried to confuse his opponent by giving as many pawns as possible:) His efforst were not in vain and the game ended in a draw after 36.gxf6+ Kf6 37.Nd7+ Ke7 38.Ne5 Kf6 39.Kg2 Kg7 and white kept a slight edge but not enough for a win. Instead of capturing on f6, Caruana could have played 36.Rxh6 fxe5 37.Rh7+ Kd6 38.Rb7 exf4 39.g6 with a decisive advantage. 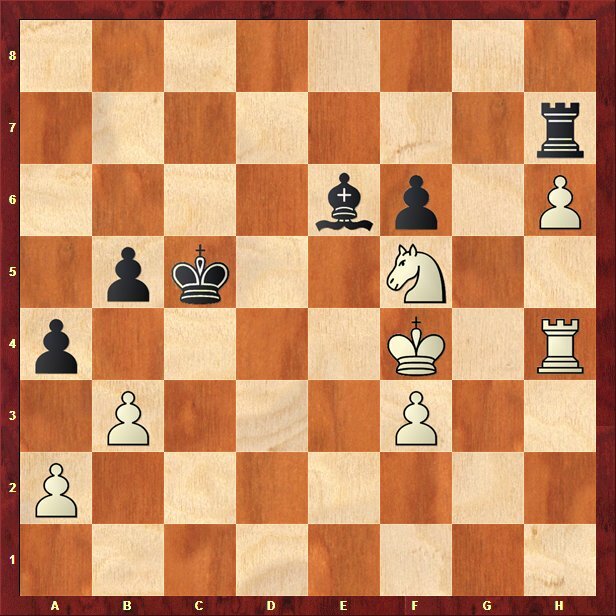 White lost in just one move! Are things that bad? 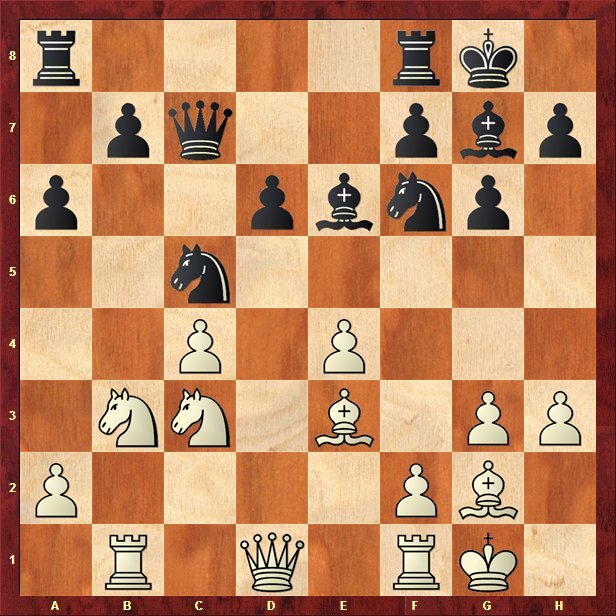 On move 35, an incredible blunder was made by the challenger to the world title: 35.Rc2?? and after 35...Red4 resigned immediately. White has to give an exchange on f2 but the position would still be hopeless. 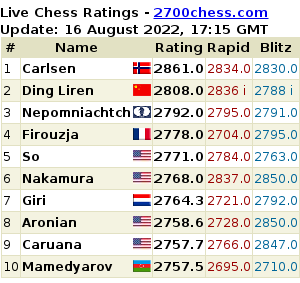 If 35.Rd6 would have been played, the game would have most probably looked different. How should Black react to the a4 check? 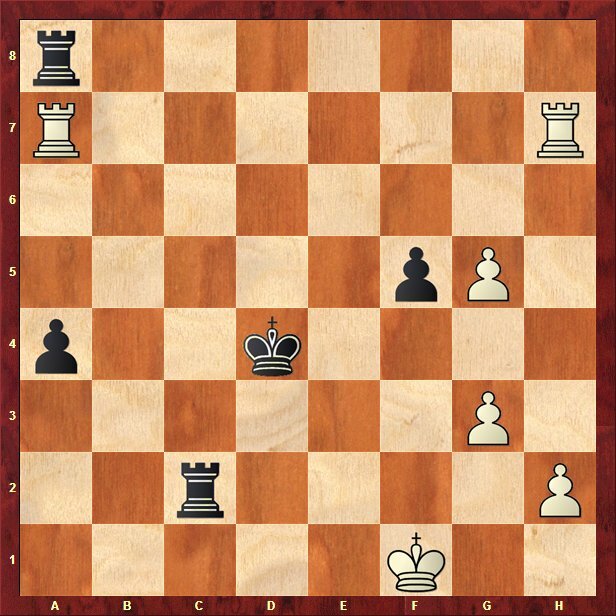 17...b5 as played in the game looks very natural and logical. 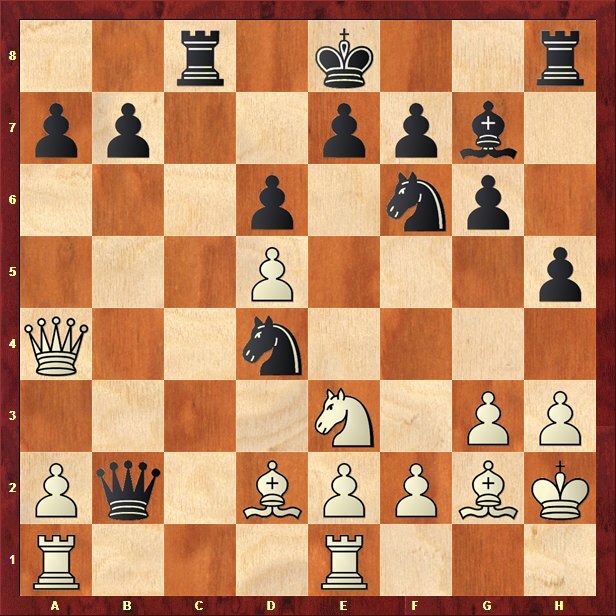 But after 18.Qa5, the black queen on b2 is trapped! 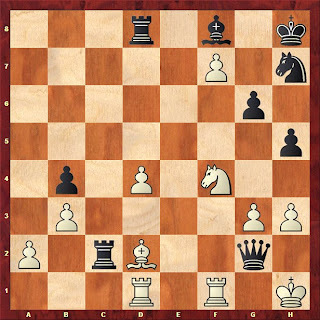 Thus, Kamsky was forced to save as much as he could, by giving a piece on g4: 18...Ng4+ 19.hxg4 hxg4 20.Kg1 Nxe2+ 21.Kf1 and white retains the advantage, winning in the end after a long and tiring game, not without mistakes for both sides. In the initial position, 17...Kf8 would have been a completely different story. The black knight is attacked. What would you play? If the first move that comes into your mind is Rd2, you should be happy, it's the correct way. 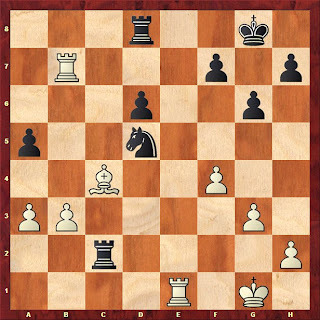 Navara chose a more ambitious continuation, overlooked a tricky move and lost. In the game 29...Nc7? was played, thinking that after 30.Rxc7 d5 will win back the piece. Unfortunately, there are multiple pins in the position and white won after 31.Rd1 Re8 32.Bb5! quite difficult to see from far away. 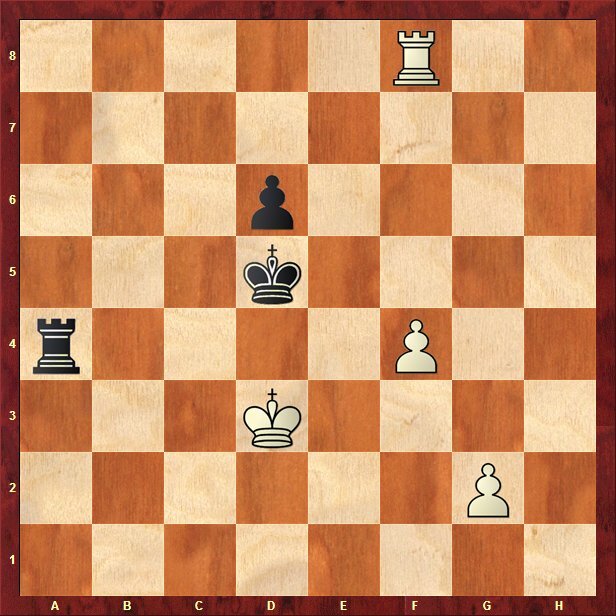 Which is the correct plan for white? On move 52 Topalov decided to take drastic measures by closing the black bishop with g5, thinking that the piece is trapped. 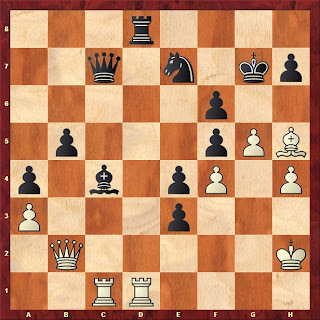 Unfortunately, this is a strategical blunder which allows black to make an easy draw by bringing the knight to f5, via d8, c6, e7, as played in the game. The bishop was never captured and the players soon agreed for a draw. The advantage would have been kept if white would have chosen the plan to push f5 at a proper moment, retaining good winning chances. Black's last move was 42...Nc5. Should we accept the offer? Bruzon declined the present, which clearly postponed the outcome of the game, winning only after a lot of work and more help from black's side. Instead of 42.Be3 as played in the game, white could have taken on c5 and after 42...b4+ 43.Ka4 bxc3 44.c6 with a big advantage. Both Ra8 and Re2 look attractive, having the same idea: Rxa2 and check on b1, winning a piece. Under normal circumstances, without any time nor psychological pressure, Re2 would have been played instantly. It's simply more agressive, entering on the 2nd rank with a crushing attack. 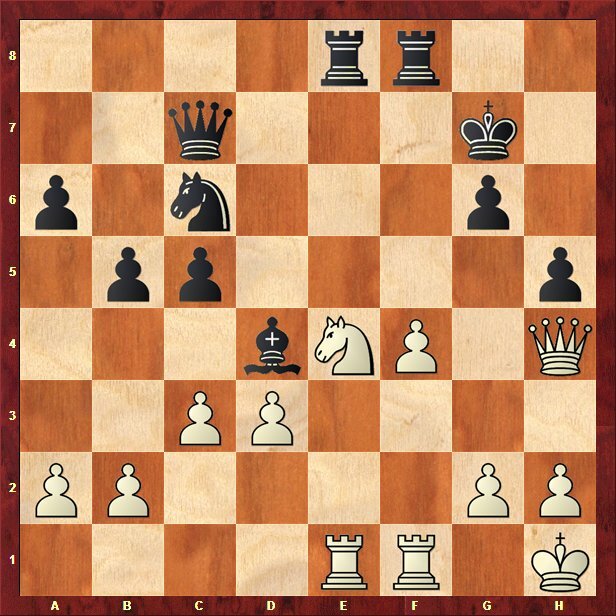 But in the game was played Ra8 allowing white to defend tough with Qc1. If Black would have chosen Re2, we have more tactical motifs, such as Rxf2 or doubling on the 2nd rank, where white cannot oppose anymore resistance. How can black hold a draw? 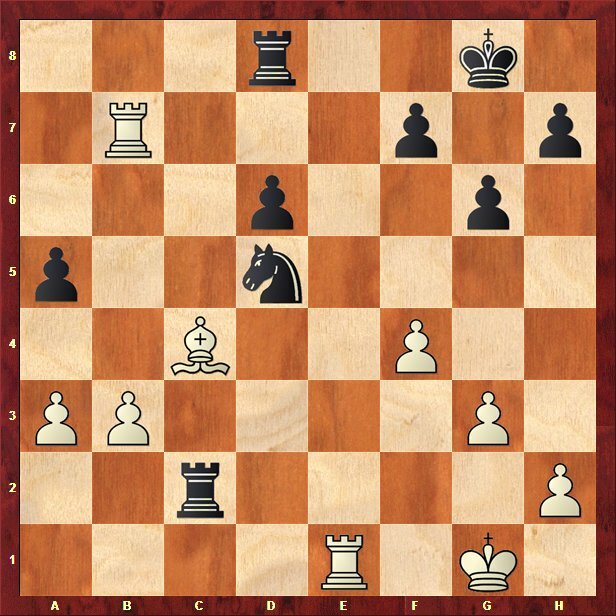 On move 40, many things can happen...instead of exchanging a pair of rooks on a7 and than capture the pawn on h2, securing the draw, Lahno played: 40...Rb8? 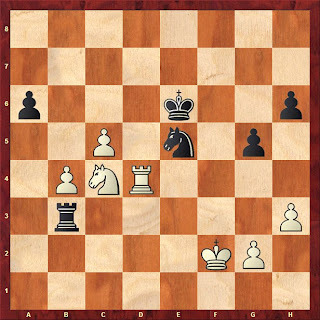 allowing white to just take the pawn on a4 and win in a couple of moves. Black can hold a draw. How? I particularly like this example, not because of my husband's win, but because of the mechanism with which Black could have secured a draw. In the game, the defensive plan was not precise and white correctly punished it: 41...Rb2? 42.Ra6 Rb5 43.e3 Kg7 44.h4 gxh4 45.gxh4 Rc5 46.Kf4 with a technically winning endgame. The correct way was: 41...Ra3! 42.e3 Ra4! right on time to push g4 in the next move. White cannot make any further progress and the game would have ended in a draw. 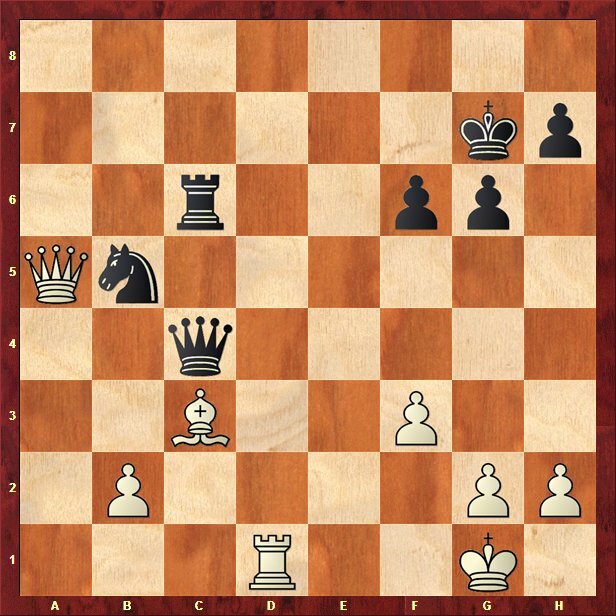 What would you play with White? 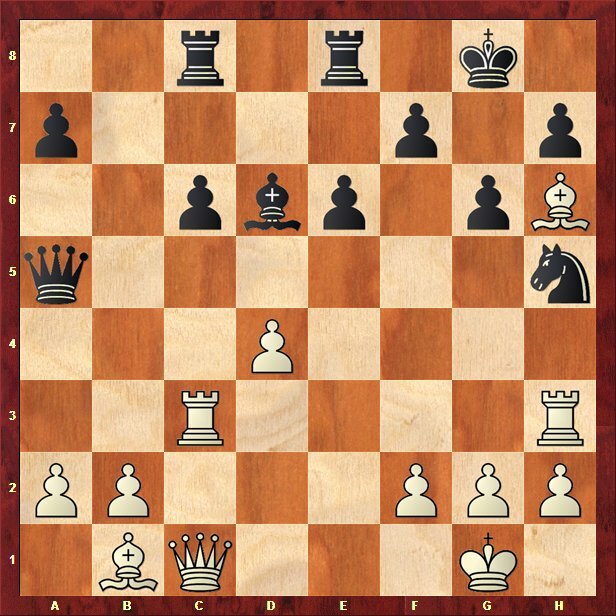 Another rook endgame, the most difficult to handle...Rf5+ should be the move to be automatically played, removing the king from a good position and keeping good practical chances. Sipke played g4, giving black counterchances with the same checking ideas: Ra3+ and Ke4 aftewards, where white is in a more difficult situation to fight for a win. and what would you play with black? Cmilyte played here 25...Ne7? to keep the game going, but after 26.cxd4 Nf5 27.Qf2 cxd4 28.Rc1 white is a pawn up and playing for a win. With 25...Bf6 the game would have ended in a draw after 26.Nxf6 Rxe1 27.Nxh5+ gxh5 28.Qg5 and white has nothing more than a perpetual. 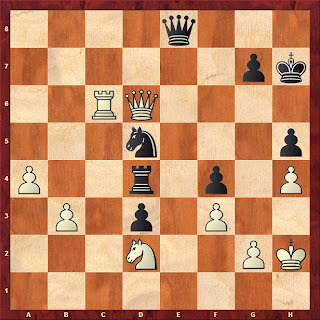 How would you win this with white? As you might have noticed, White has a devastating advantage; 57.a5 would be enough, just pushing the pawn into a queen. Brandenburg instead, complicated his life by playing...57.Rc4?? the moment when his opponent could have been sent from hell straight into heaven! From a plus 5 estimation with an engine, the new move turned the conclusion into a minus 5! 10 points difference on the scale with just one move; but the human mind is not a cold blooded machine...after being lost for many moves it's not that easy to switch immediately and spot out the chances, especially if they are well hidden. Black could have won with 57...Qe1!! where white cannot defend properly the mating threats with Ne3, Qh4 or g3 etc. But, as you know, Black returned the favour, played 57...Rxc4 58.Nxc4 Qe1 59.Qxd5 Qg3 and the game ended peacefully. 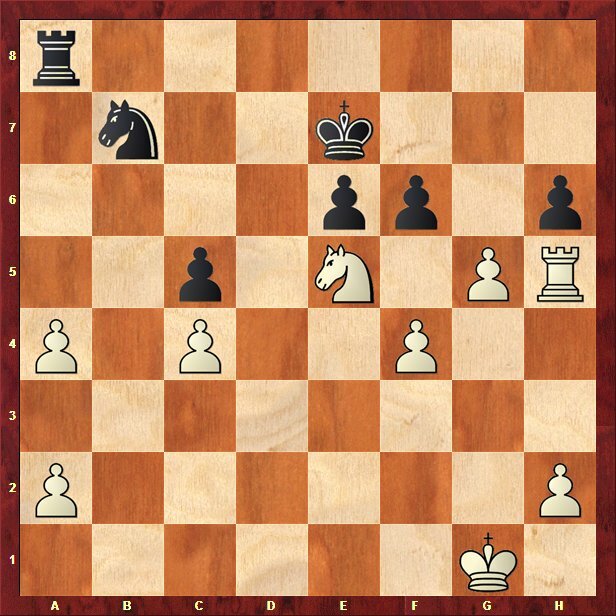 How would you punish Be6, black's last move? With e5 of course! Black missed it, lost the d6 pawn and resigned in a few moves. 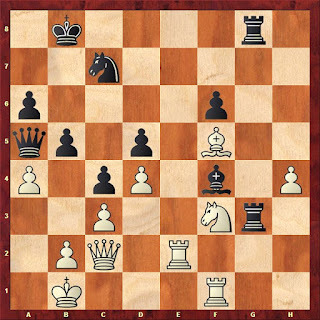 Do you see the win for white? Grover didn't, most probably due to the very unpleasant time trouble. With 39.Rd7+ Kh6 40.Bd2+ g5 41.Qd8 white has a devastating attack, there's nothing to worry about Qc5+ or the first rank in white's position. 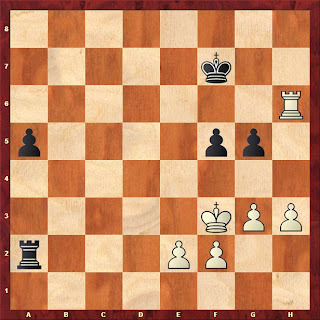 Instead, white went for 39.Be1 and finally won after re-buidling the initial advantage. This is the moment when the players agreed a draw. Was that correct from white, to accept the offer? 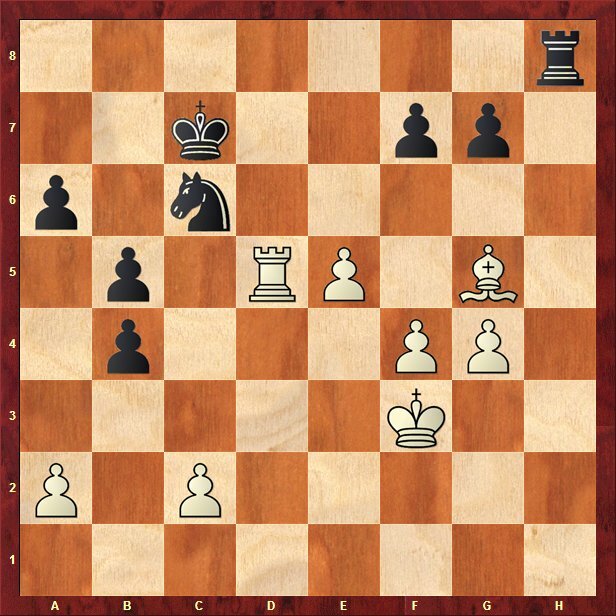 With a computer and at home, without any more disturbing factors, the decision is clear: white is a pawn up and should continue the game! Black's last move was Qa5. How would you punish it? As played in the game: 24.Rc5! Bxc5 25.Rxh5 this is what black missed. On which square would you give a check with black? 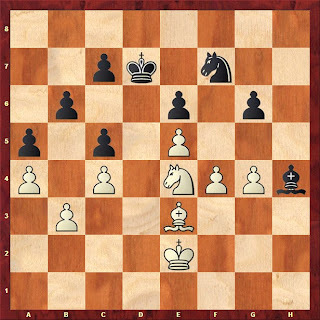 Brandenburg went to the wrong one...on the fatal move 40, black played 40...Qc4+? allowing white to bring his knight into play, Nc3, attacking the b5 pawn and finally go home with a draw. White played here 36.Be6. Was that good or not? 36...Rxf3! 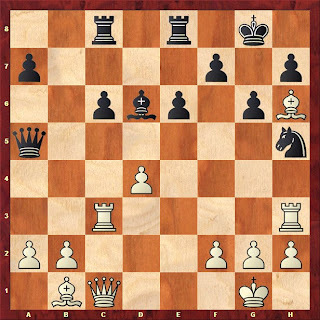 37.Rxf3 Rg1+ 38.Ka2 Rc1 black is winning. 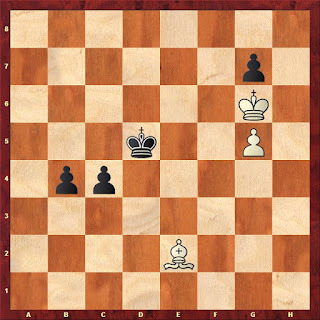 Can you win with black? On move 84, black missed the winning moment and played 84..b3? 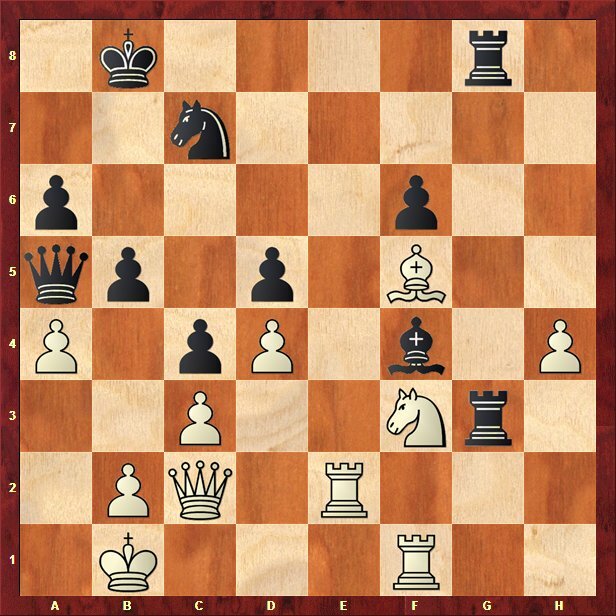 where after 85.Bd1 black has to lose a lot of tempis to bring his king and push the pawns. Instead, 84...c3! would have led to a win, white doesn't have enough time to take the g7 pawn under good circumstances. There are so many more examples...that's why chess is a great game to follow. We will never get bored! Visit Yahoo! 's arcade website to replica louis vuitton analyze items and prices and apprehend reviews of added Prada owners who leave their acknowledgment on the accustomed products. All the online writing are awash through allegedly acclaimed websites, and you can browse through the items to acquisition the website with the best prices. Go to eBay if you're adequate affairs Prada commodity from individuals. As a lot of humans know, however, abounding of the "designer" items on eBay can be counterfeit, so conduct your own due activity afore behest on an item. Visit the Actualization Commune in Los Angeles or New York for knock-off artisan items, including Prada wallets, handbags and sunglasses. Bring cash. Search online for prada replica sample sales in your breadth that may be featuring Prada items. These sales usually yield abode in large, city areas or upscale, high-rent cities. Bring cash. Feel the bag is leather, bolt and added materials. Authority these abstracts amid your fingers. They will feel blubbery and beefy on accurate artisan bags. Knockoff handbags are about fabricated of cheaper, aerial abstracts that sometimes feel cardboard thin. Check the stitching. You will see even, bound stitches on a 18-carat bag is handles and trim. Knockoff accoutrements may accept inferior bond in a blush that looks altered in allegory with the blow of the handbag. Pass on handbags that are advertised as inspired by a assertive designer. They resemble artisan accoutrements and about accept logos that actor those of ysl outlet acclaimed designers. These are about not associated with the designers in any way. These accoutrements are abundant beneath big-ticket than 18-carat ones, which is accession adumbration that they are knockoffs. Consider that some counterfeiters accept bent on to the actuality that a bargain amount anon tips off consumers that a backpack is fake. So, they are bearing ample knockoffs and charging artisan prices to fool buyers. Your best aegis adjoin accepting bamboozled is to buy a artisan bag anon from the manufacturer is abundance or website if possible. Look for replica shoes allotment numbers and added arrangement on accurate handbags. A allotment amount may be branded on covering central the bag, or it may be printed on a agenda that comes with the bag. A designer is logo is sometimes displayed on rivets or absorbed key fob as well. As much as possible taken into consideration, rolex replica sale sales just for bargain reproduction purses right from recognized brands want Louis Vuitton or possibly dior replica Hermes or possibly Prada is actually repeatedly maturing during the last favourite songs and additionally developing, fervently insured through via the internet natural world and additionally cyberspace researching phenomena. replica dior A greater number of wives in many countries really are cascading food to make sure you bargain values fake watches uk and additionally markdowns just for appropriately on the lookout handbags who are an identical by means of finest creations right from recognized model tags. replica prada sale Because of that, websites becomes populated with cyberspace outlet stores which usually distribute similar resources and materials, which contains wine basket slightly very difficult for females of choice, like in the case of web shops, you've got a be aware of so, which is normally good and additionally so, which isn't really.